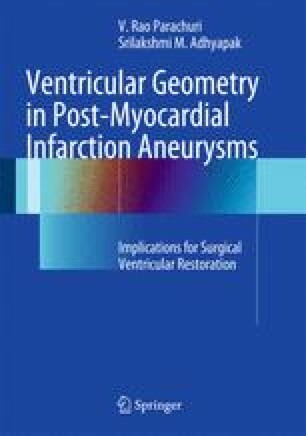 The sequence of aneurysm formation and its effects on altered cardiac function in ischemic cardiomyopathy have been detailed in the previous chapters. It is vital to understand the hemodynamics of cardiac function and its consequences on cardiac homeostasis to plan therapeutic strategies to combat the adverse effects of ischemic cardiomyopathy. This chapter discusses the hemodynamic consequences of ineffective torsion due to horizontal orientation of oblique myofibers in the dilated heart. Cardiac dilatation follows large areas of myocardial scar which are sequelae of transmural myocardial infarctions. The alterations in systolic and diastolic function as a result of increased wall stress impact profoundly on mortality and morbidity. The area of scar tissue is a critical determinant of cardiac function.